Bright, vibrant colors like coral and turquoise are spectacular for a summer wedding and there's so much you can do with this palette. Whether you want to hold your wedding in a lush, green garden or prefer a coastal backdrop, coral and turquoise add that pop of color in any setting. If you want to subtly incorporate brighter colors into your wedding decor, these options are beautiful to add here and there around your wedding party or reception. Use coral and turquoise wedding invitations to set the tone for your wedding. You can make your invitations elegant or fun use different patterns and fonts to let your personality shine! Your bridal party will look spectacular in coral or turquoise dresses, and the color really complements your beautiful wedding dress. 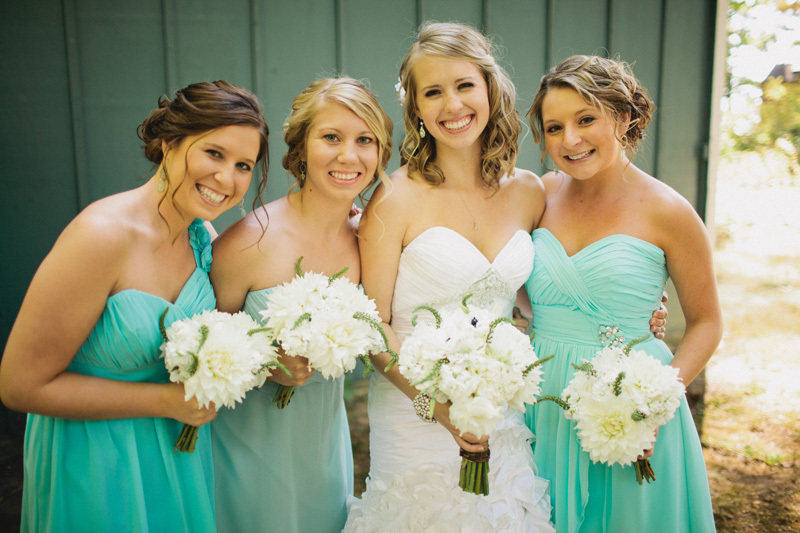 Enhance visual interest in your wedding photos by letting your bridesmaids choose varying shades of coral or turquoise– it creates an amazing palette of color around you. ! Use the two colors to create an eye-catching dessert table, or use one of the colors for an ombre-inspired wedding cake. These two colors just scream summertime they are light, fun and vibrant -- plus, they pair with other perfect summery colors like cream, white or yellow.